About – Remember to celebrate! Working as a Scrum Master I often heard the term “Remember to celebrate”. It sounds nice, and makes sense, but I usually ran out of ideas beyond “Let’s buy some cake”. So, if you’re like me, and in need of a bit of inspiration, I’ve created this blog to spark reflection on ways of celebrating. Hopefully you can use it as a source of inspiration to spize up your daily work. Pick-and-choose, modify and adapt to your need. Some ideas are costly (time and money), others quite free. Some can be used to mark milestones, others are more ideas to put in more fun and team focus continuously. Please feel free to comment on ideas. I’d love to hear your experiences with them. Or twists. New ideas are also welcome! Drop me a mail, and I will post them on the site, and credit you, if you wish so. 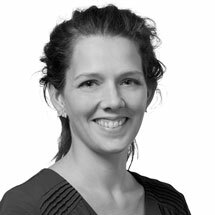 Nina Lilholt (website in Danish), working hands-on as Scrum Master and Agile Coach.